A long, cold drink of cold water on a hot day. How we take this for granted. We pour ice cold water from the tap, or grab some juice or milk. For many, especially in Africa, they take a dirty container to a dirty body of water and drink filthy water, and bring it home. How terrible. 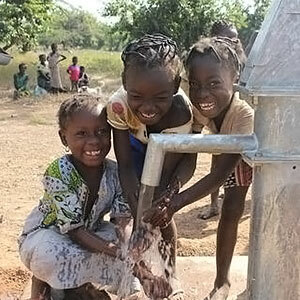 Please donate to help communities in Africa dig new wells. Caper Games wants to dig wells. Please help us! Thank you.